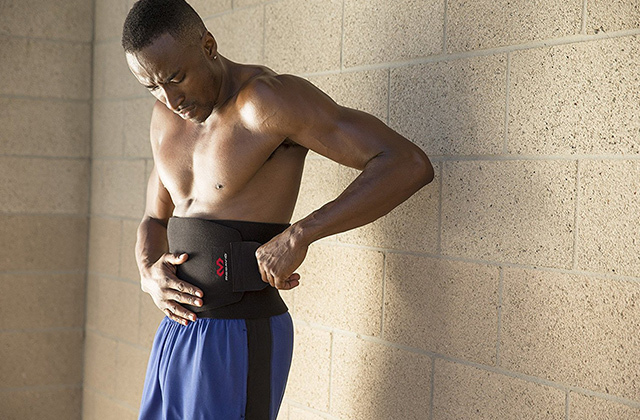 The metal strap with a buckle can be very easily and securely attached to any suitcase. Besides, the strap fixes the leather flap, which contributes to accuracy and durability. The backstitches may be not very even. 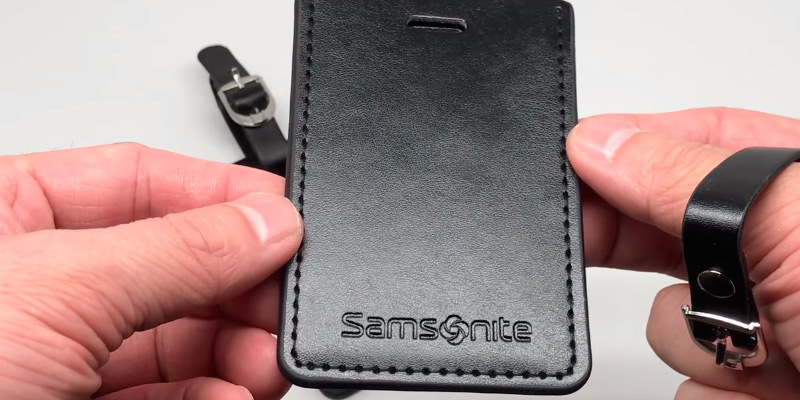 The Samsonite suitcase tags are made of high-quality leather. This material is quite durable and wear-resistant. This set is a perfect choice for serious and demanding travellers who appreciate quality accessories. Thanks to these tags, your luggage will not be lost at the airport. The kit offers as many as seven modern different-coloured travel tags. For sure, this amount will be enough to tag suitcases of all your family members. The paper card is somewhat hard to pull out. The NUOLUX metal tags are not too lightweight. They look expensive and presentable, with the original print of aeroplane adding to their stylish design. This set will be a nice gift for travellers and businessmen who often go on business trips. 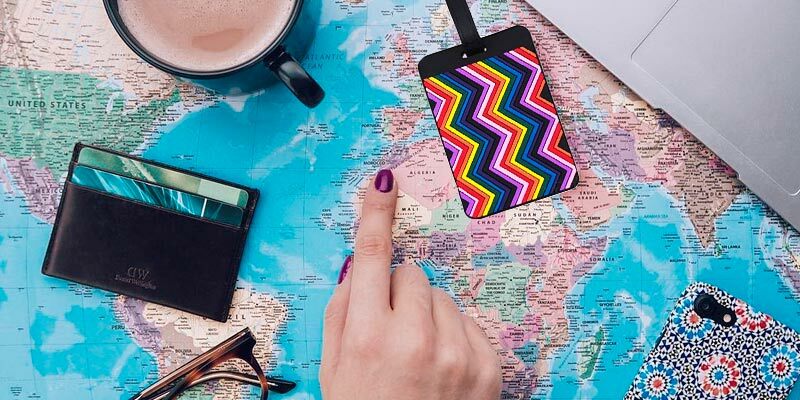 With the bright and eye-catching colouring and an interesting geometric pattern, this luggage tag will be extremely recognizable, and you will quickly find your bags. The plastic buckle is not so reliable as metal ones. The EQLEF baggage tags will be a very useful purchase for those who travel a lot. An internal paper card on which you can write down your name and address goes hidden behind a dense waterproof film, making your personal data safe wherever you are. There are two paper cards in each tag. Thus, you can write two different addresses, phone numbers, or any other important information about the owner of the suitcase. These suitcase tags come only in one colour. 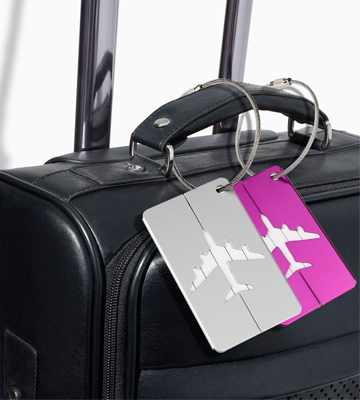 The Kollea tags for luggage have a silver appearance which makes them look sophisticated and elegant. Even the most discerning traveller will like this model. The kit comes in a branded metal case, so it can also be a great gift. The CSTOM model is built of very flexible PVC rubber which is pleasant to the touch. These travel tags are larger than average models and easier to find in a pile of bags, accordingly. The waterproof cover is too thin. 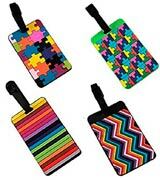 Being designed in bright juicy colours, this set of two stylish luggage tags will personalize your luggage. Each tag has the privacy back cover with a fastening loop to securely protect your confidential information. 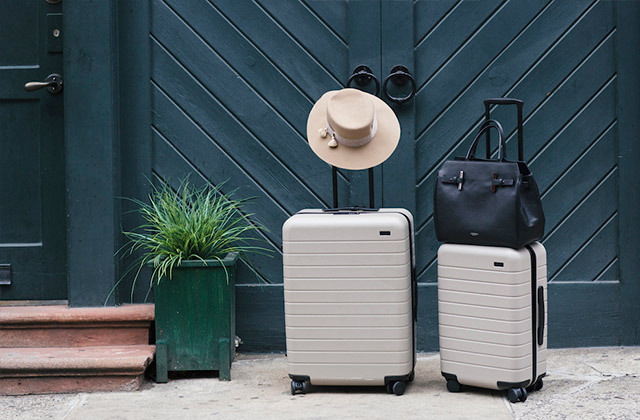 Samsonite has been the world leader in the production of baggage products for more than 100 years. The collection of Samsonite leather products got popularity due to their strength, reliability, and durability in every detail. 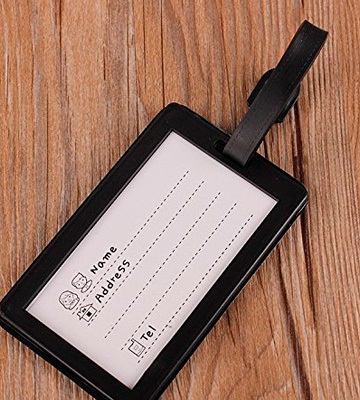 This luggage tag with a plastic window and strap will become your helpful companion on all your trips. Once you attach it to your suitcase, you'll have a peace of mind knowing that your suitcase is going to be marked out of the crowd of other bags. The tag is attached with the help of a special strap with metal buckle and there's very little work you need to do. The back cover flap of the tag keeps the information you put there protected from eyes of strangers and secures it from damage. Even if you manage to lose your baggage somewhere or it'd be taken by another passenger by an accident, the contact information left on the tag will certainly help it find the way back to you quicker. When travelling by air, personalised luggage tags will prove especially helpful allowing travellers to find their bags amidst heals of similar bags virtually in no time. 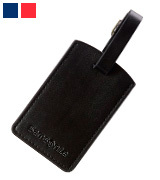 Being made in a rectangular shape with stitched edge, this genuine high-quality leather luggage tag looks stylish and elegant and can certainly serve as a distinctive feature of your luggage. The NUOLUX set of 7 colourful strong luggage tags can serve as a nice accessory on your suitcase all while ensuring its total security while being on the road. In case you happen to lose your bag after transferring it to the airport services, the tag with your contacts and current destination left attached to the bag will let you find and return your luggage with minimum inconveniences. 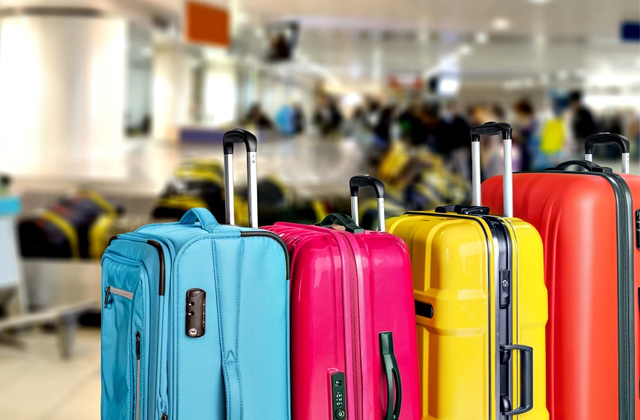 Because the tags have very bright colours, the airport staff should be able to spot your luggage very quickly and the search of the luggage much simplified on the whole. The NUOLUX luggage tags look not only eye-catchy but also representative and rather expensive making them a good addition to any businessman. The tags are produced from firm aluminium alloy that's resistant to all types of transport conditions. Some other advantages of this alloy include its light weight, high resistance to corrosive processes and fire, and, as a result, enviable overall durability. With that, tags do not contain any bad materials which may affect the environment and are totally safe and eco-friendly. By purchasing this set, you'll also get a string and a screw connector that will let you securely attach a tag to your bag. The last thing we want on a trip is to lose the luggage and end up searching for it for the next half a week. 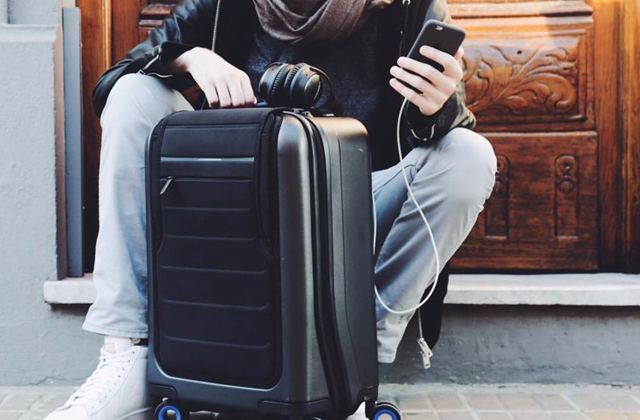 However, with this stylish accessory, you can take care of your luggage in advance and prevent this situation. 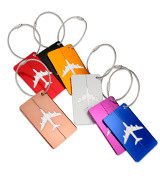 The EQLEF® company offers the set of 4 bright multicolour personalised luggage tags with various patterns so everyone can find something that suits his or her liking. However, these tags aren't only a nice accessory but a practical and functional thing that you should not ignore when going on trips. 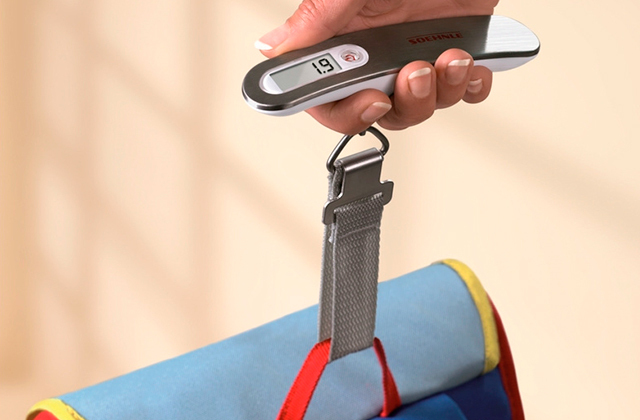 With this tiny helper, you can mark your luggage and secure it from getting into the hands of somebody else. The tag comes with a special card where you should write your name and contacts, and in case the worst happens and you do lose your bag, airline employees will be able to find and contact you immediately. The EQLEF®luggage tag is made of durable and elastic polyvinyl chloride which is flexible enough not to break even under rather heavy road conditions. With that, the polyvinyl chloride is recognized as a strong and dense material, so you can be sure the tag won't wear out too quickly. Furthermore, as PVC is not afraid of low and high temperatures, it will endure any weather and won't fade even if you leave it exposed to the sun. However, the biggest advantage of polyvinyl chloride on top of its great durability and practicality is that it is comparatively cheap so what you really get is a tag that comes at a very low price but can last you a long time. 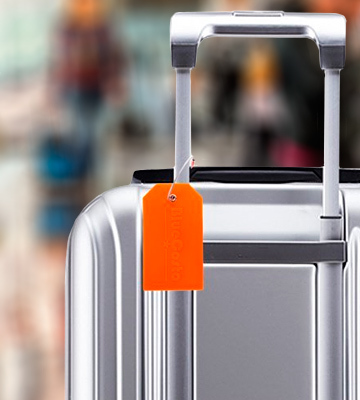 The travel tag from EQLEF® is a reliable and bright way to highlight your style and one of the most trustworthy ways of ensuring your luggage security comes the worst. It can also be a great present for your friend or close people who love travelling. The Kollea pack of two travel tags will be a useful purchase not only for you but for your friends, close people, and colleagues as well. No matter where you plan to go or how long your trip is going to be, make sure never to leave your house without attaching a luggage tag to your bag first since that can save you a lot of trouble in the future. The advantage of Kollea luggage tags is that they look decent and beautiful. Being made of adamant aluminium, they are light in weight, highly resistant to corrosion and can endure various impacts of road conditions which guarantees them a long lifespan. Besides, they are not susceptible to temperature alterations and totally environmentally friendly. The tags are delivered in a special box which is made in a similar design with a beautiful hairline finishing. Both the tags and the box look quite expensive owing to the silver coating and will look great as a present. Not dissimilar to the other luggage tags we reviewed, the Kollea pack is supplied with paper cards for writing personal name and contact information, but unlike most of them, this one includes not one but two cards making these tags a great choice for families and couples travelling together. 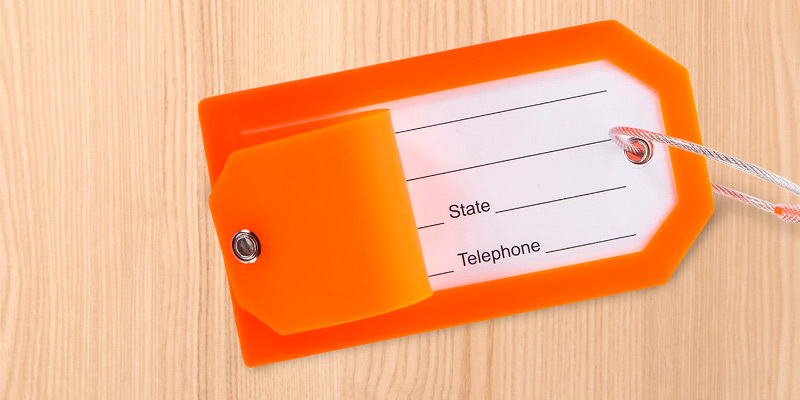 Whatever you write down on the card is going to be stored discreetly thanks to the special mechanism of the tag. 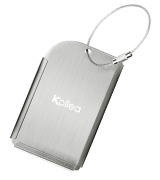 The Kollea travel luggage tags are suitable for all kinds of suitcase handles. 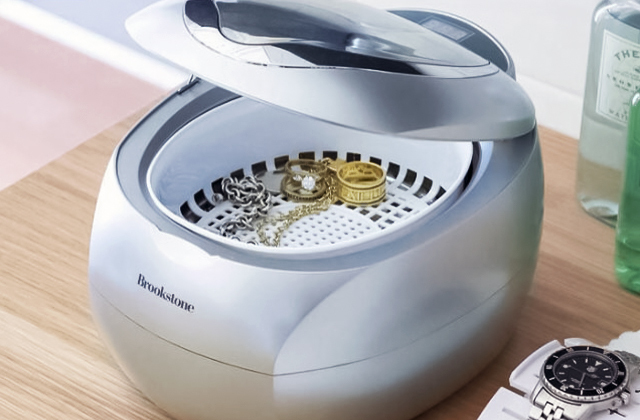 All you need to do is fasten one firmly with a stainless steel cable. That should be enough to keep it securely in place in all travel conditions. Summarizing all the said above, these tags are certainly good for what they are, especially given the price, and will come in handy for anyone willing to secure property during travels. 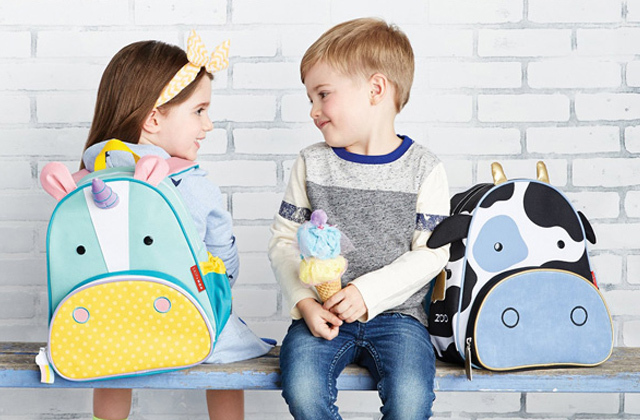 They will also be a great purchase for families and those who often travel with their other half - for the price of one you get two quality tags to make your bags look distinct in the crowd. 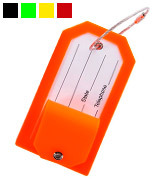 If you'd like to be able to distinguish your luggage among hundreds of other bags in a blink of an eye consider the CSTOM travel tags which are available in five eye-catchy and juicy colours: black, green, orange, red, and yellow. The kit includes two tags with the size of 4.5" x 2.5" (the plastic window is 3.55" x 2.13") and is perfect for couples who love to travel together. The CSTOM travel tags are made of soft PVC rubber, which, in addition to being flexible and elastic, is recognized as one of the most durable and reliable materials that can last outlast many others and survive the harshest conditions, which is why it comes as no surprise it's often used in the production of things for leisure and outdoor activities. Furthermore, it doesn't emit any unpleasant or chemical smell, which is also a plus. Like we've already said, the CSTOM travel tags look very eye-catchy, and that's another advantage we consider very important. 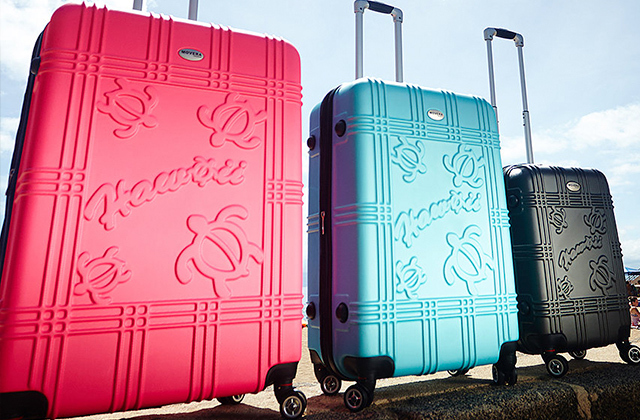 With a tag this bright there's hardly a risk of losing your bag among other luggage; you will see it instantly once your suitcase shows up on a baggage carousel. So if you haven't decided yet as to which luggage tag to purchase but want it to be easily distinguishable and attractive, you should definitely give serious consideration to the CSTOM travel tags which have both. It will not wear out on the first use and will let you travel with peace of mind. What Is a Luggage Tag? The nightmare of every traveller is the loss of a luggage. 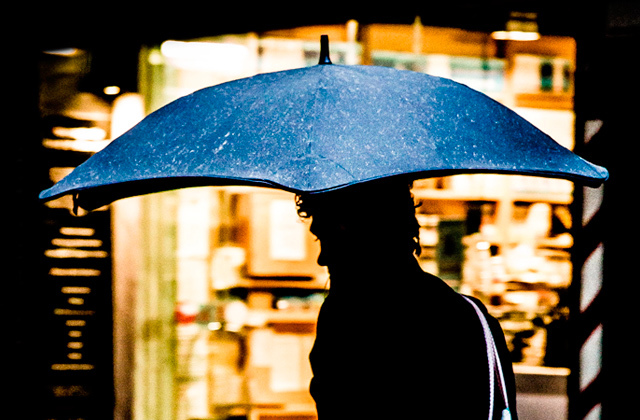 Virtually anything can be lost - a bag, a suitcase, a backpack, or a briefcase. But if the bag usually accompanies the traveller in all situations as a carry-on baggage, the suitcases and backpacks have to be trusted to porters, luggage compartments, and storage chambers. 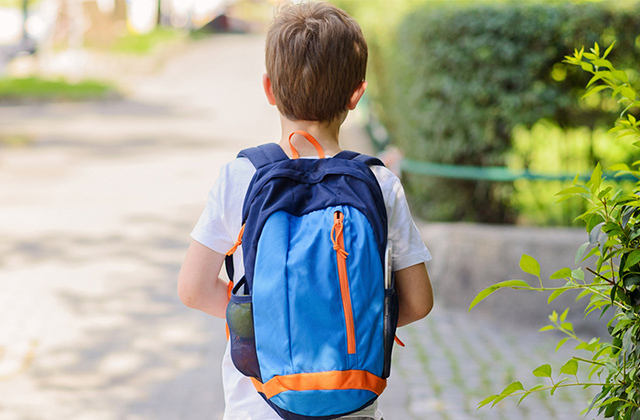 Loss of a suitcase or a backpack on a trip is often irretrievable and the whole process often includes a bad aftertaste to the memories of that trip. Although there isn't much you can do to prevent the staff from losing your suitcase, there's a way to make sure that your lost possessions will return to you as quickly as possible. All you have to do is attach a special luggage tag to your suitcase. The personalised luggage tags contain information about the owner of the luggage. Though you are free to write what you want there, make sure to at least mention your first and last name. After that, you should definitely leave your contact information, be it your cell phone number or your e-mail. 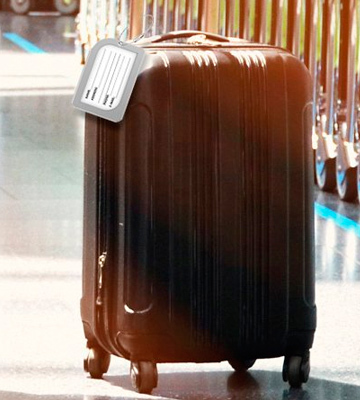 The suitcase tags with information about the owner can be attached to suitcases, backpacks, children's and sports bags, laptop bags, and other types of luggage. These tags are wear-resistant, immune to sunlight, and can keep information written on them for a long period of time. 1. 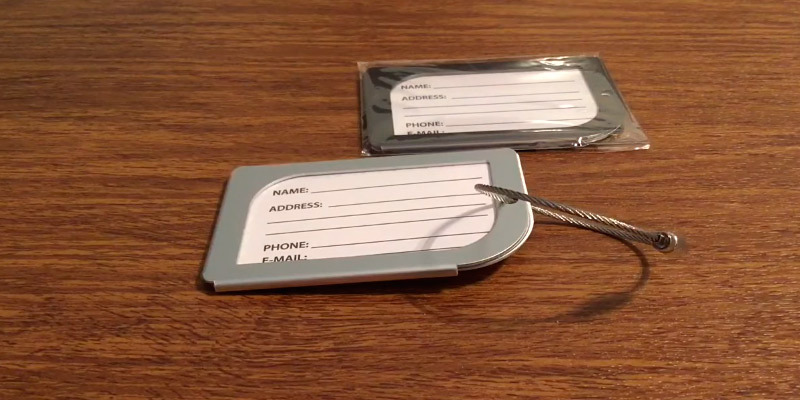 LEATHER LUGGAGE TAGS, Instructables. February 3, 2014. 2. 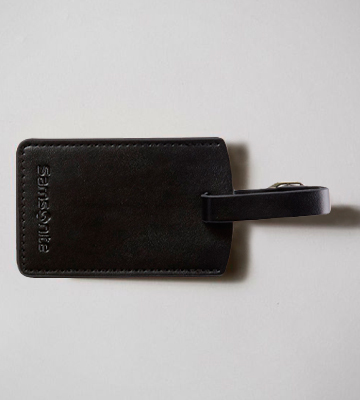 Make your own leather luggage tags, The Guardian. 3. Marie Mulrooney How to Attach Luggage Tags, azcentral. 4. Bag tag, Wikipedia. January 15, 2018. 5. Catherine Rayburn-Trobaug What Not to Put on Luggage Tags, USA TODAY. 6. 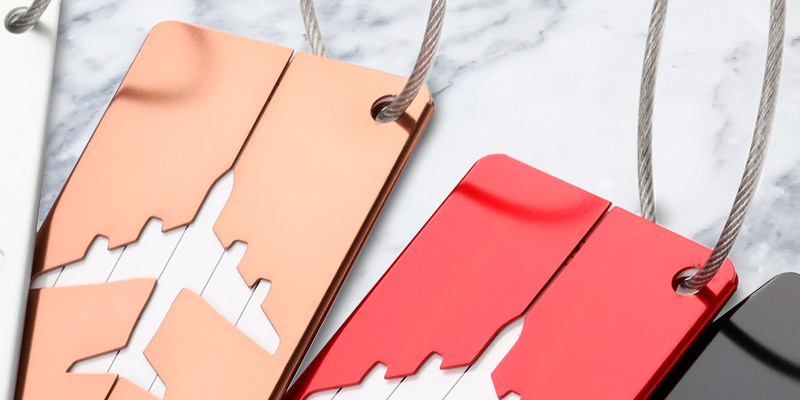 DIY Leather Luggage Tags, Lia Griffith.